No matter how high the quality of a photograph is there is no way for an online image to capture the true color, weight, texture, caliper, opacity and irridescence of a paper. The only way to know with absolute certainty that a paper is as you imagine it, is to physically hold it in your hands and see it with your own eyes. With this in mind Announcement Converters has produced a series of swatch books designed to showcase the thousands of papers that are kept in stock ready to ship. Swatch books are the ultimate secret weapon in a designers arsenal and the ultimate selling tool. These convenient swatch books allow you to mix and match colors and texture prior to purchase. They are compact and indispensible. 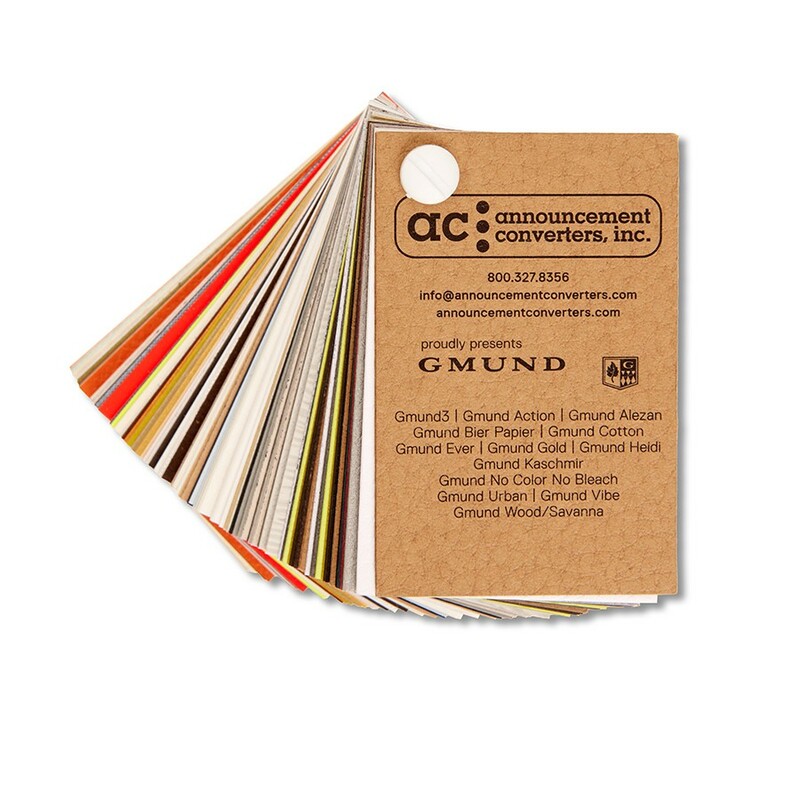 The Gmund swatch book highlights the following brands: Gmund3, Gmund Action, Gmund Alezan, Gmund Bier, Gmund Cotton, Gmund Ever, Gmund Heidi, Gmund Kaschmir, Gmund Reaction, Gmund Savanna, Gmund Treasury, Gmund Urban and Gmund Vibe.